Not every science student enjoys the physics ride. Some say it’s the most complex science subject while others say, the rigorous long twist of science formulas means you can’t easily navigate through the course. Are you one of such people or know a friend who has such issues ?.Then, this post would be of great benefit. The grades you give the subject reveals how passionate you are about the subject. It’s how you feel deep inside, but not really how important Physics is. Physics is a pure science course and has a 100% impact on your ability to excel as a science scholar. If you aren’t passionate about it right now, you might be missing an important ingredient for the meal you are preparing (future career). 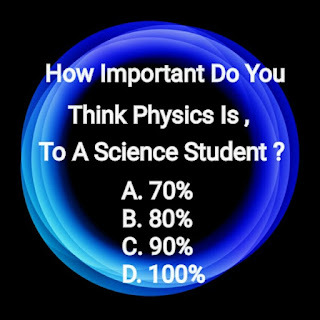 Now we have a common theme of how important Physics, another question likely bothering your mind is how to go about understanding physics. You’ll have to go the extra mile to understand the principles of physics. Gravity and more which can be found in the Physics Syllabus. If you cannot put in that extra effort, then there’s no way you’re getting around it. Are you ready to go the extra mile? If you are not, then you can stop reading now. If you are ready then continue. Yes, you’re the one going for the tough ride, not anyone else. So if you aren’t fully convinced on the reason why you must understand Physics, you might give up on the way. Always remind yourself the benefits you will be getting at the end of the day. That will be the springboard for every other effort you are going to be putting in. If a soldier convinces himself prior to a battle, that he has already lost, then,even the most minor opposition at the battlefield seems like a real threat. What do you do when you find out you’ve taken the wrong route on a journey ? It’s simple, you go back to the last junction you can accurately remember or back to your startup location. Now, this really isn’t easy. But let’s face it! A common reason why you might be struggling with Physics at the moment could be,an important element you failed to pick up at the onset. So, even in a lazy man’s diary, the way out would be going back to pick what is missing. Approach the subject as a novice, study from the beginners page and do not skip even the most minute detail. One more thing!, do not attempt to solve Physics problem the professionals way. Employ the basic solution methods, till you’ve gotten mastery over it. You could then proceed to the complex solution methods. You should have noticed before now that physics is a bit complex, so do not add your dose of complexity by trying to grab everything all at once. It’s a sure way to grab none. Go one at a time and do not forget to take a little break when you start finding it difficult to understand a particular physics concept. Determine your best study time so that you do not doze off every time you get on the study table. That would be counterproductive. You could begin with solving one physics problem each day and gradually improve the number as you continue to get better. Physics formula books are available at bookshops,but we would suggest you create one for yourself. Write down every physics formula you’ve come across and try to memorize as many as possible. Research has shown that we learn by writing, therefore you get more acquainted to physics formulas as you put them down in a notebook. 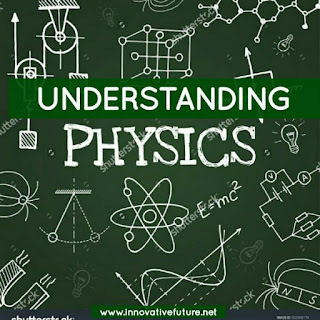 This step to understanding physics is pivotal for both startup students or those who have been studying for sometime now. If you’re a new student, you can easily get on the physics ride with assistance from a private tutor. For seasoned students, however, you get even more better. Now, think less about the charges, as being in good terms with your teacher opens up a way to enjoy private tutorial even at no cash cost. Your class teacher, older sibling or even a more physics knowledgeable friend could make a good private physics tutor. If you seem fazed at the concept of getting a private tutor, then this could be a more convenient option for you. 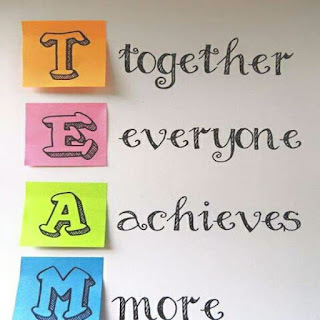 Studying with friends who have a similar desire to get better at physics will tremendously help you improve. A fixed study time and also maximum contribution while tearing through series of physics problem surely goes a long way. Another major benefit would be getting support to ride on, whenever you feel like giving up on the course to understand physics better. Always remember the saying, ‘nothing good comes easy’. It will eventually take a lot of time and effort for you to become a seasoned physics student but we can assure you that every bit of effort you put in will be worth it ,at the end of the day. There are bound to be times when you’ll feel like throwing in the towel, so always recall that Rome wasn’t built that way. Clairvoyance on the fruits you’ll be reaping makes the process of planting(studying)and watering(practicing) worthwhile. 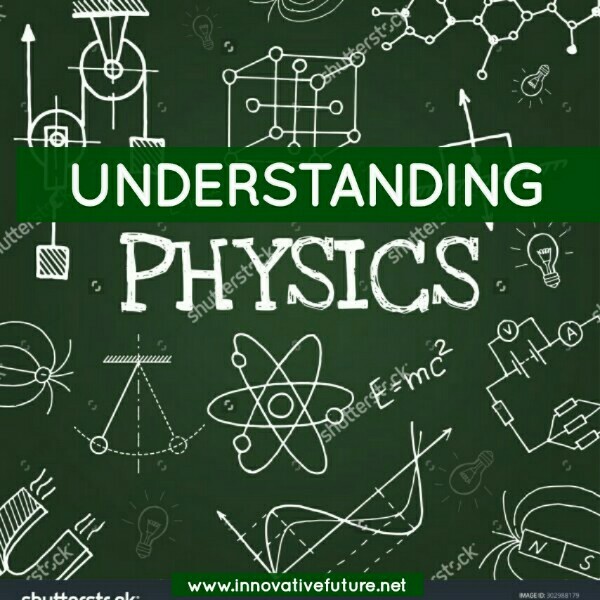 Now you have a trusted guide of seven simple steps to understanding physics. Knowing these steps isn’t enough. Implementation is the key, so you can get to work right away with full confidence that you can do it. Anything we missed? Use the comments section. Share and tell your friends about Innovative Future. great post, physics, is a core science subject, understanding physcis, needs your attention and been vusual.